Download articles for your agency’s newletters. Download printable brochures for some of our programs. The official Early Childhood Iowa website. Additional programs funded by Scott County Kids. Trainings for professionals and community members. A resource for school nurses and other health professionals to store, access, and update policies. View the community plan and other documents. 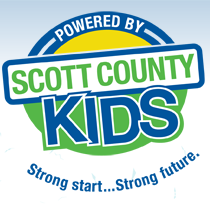 Programs and resources from Scott County Kids contractors.